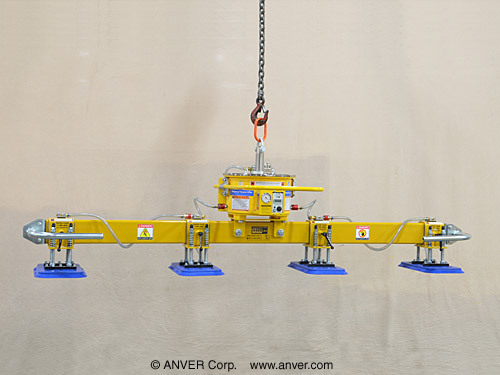 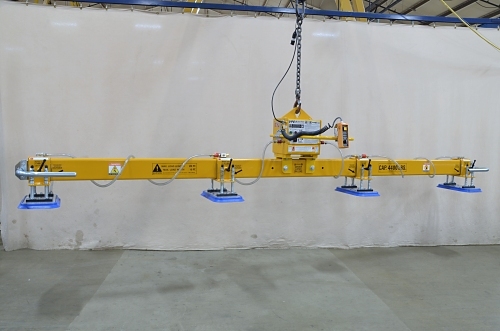 The L440M4-110, -150, -190, and -231 four-pad in-line lifting frames are ideal for handling carbon steel and stainless steel sheets and plates with a maximum capacity of 4400 lb (1996 kg). 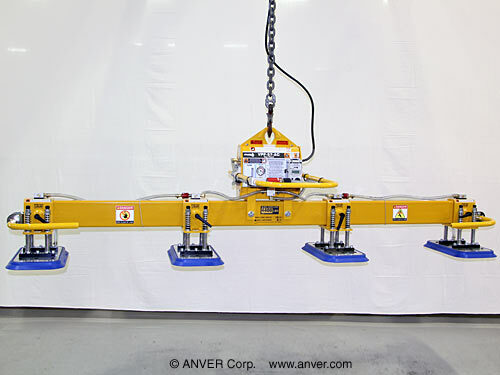 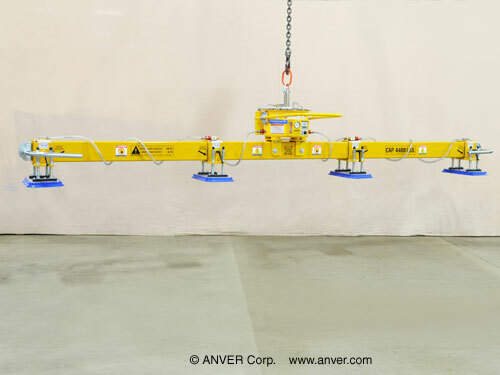 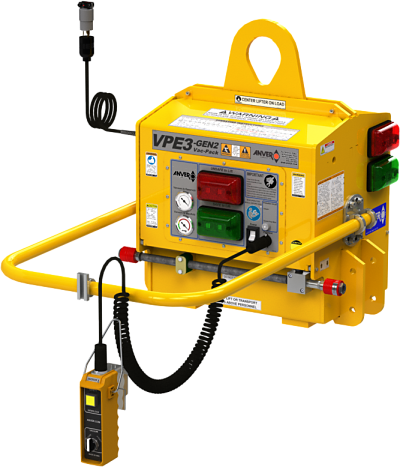 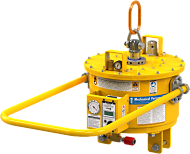 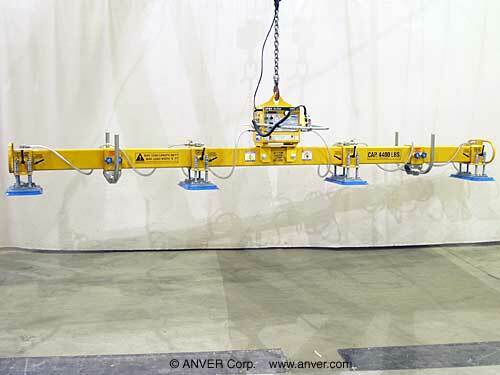 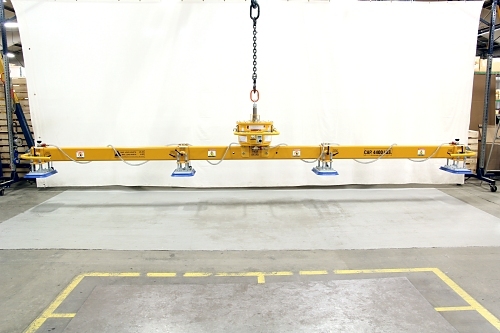 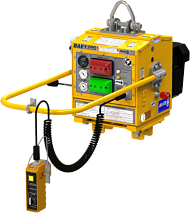 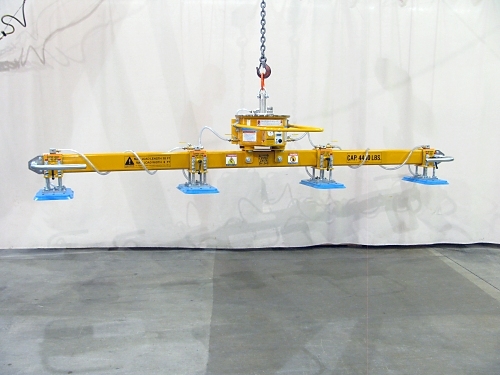 The type of vacuum lifter – Mechanical, Air, or Electric – paired with the number of pads used will depend on your application needs. 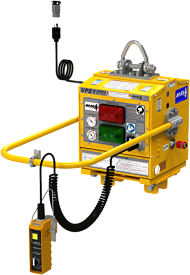 Foam pads are not available for mechanical vacuum generators.